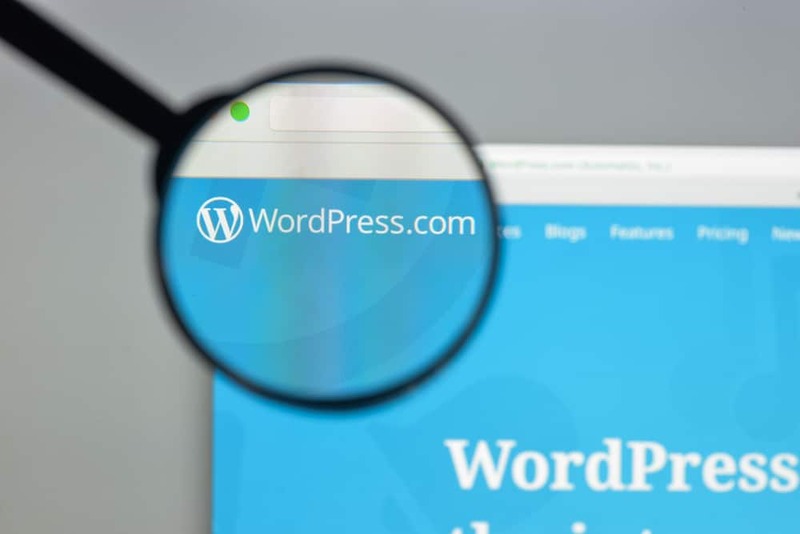 WordPress is a super-powerful content management system, responsible for driving around a third of all websites in existence the length and breadth of the worldwide web. One of the core reasons WordPress has become the number one choice for so many online businesses and bloggers is the extensive list of major advantages it offers when it comes to search engine optimisation (SEO). WordPress offers a vast range of exceptionally useful tools to help boost search engine rankings, but just how does SEO work on WordPress? Let’s take a look at the features and plugins that make the whole route to an optimised website more of a breeze. One of the best things you can do to optimise your website is make sure your pages and posts are search engine friendly, and human friendly too. The URLs of your web pages are known as Permalinks. These links are important because the search engines use them to draw information about your website, plus visitors focus on them when they appear in the search engine results pages. So, they are important in more ways than one. On a WordPress website, your Permalinks will, by default, be made up of odd characters and numbers that won’t mean anything to anyone, or any search engine for that matter. The great news is that you can change all of this in Settings. Just look for Permalinks in the left hand bar and you’ll see a range of options. Your best bet is to go for a custom structure, that way you can focus on making the URL sound nice and natural and easy to remember for visitors, and well optimised for the search engines at the same time. Do try and keep your URL fairly short though. Matt Cutts of Google has said that the search engine gives less weight to any more than five keywords in a URL. So if you have a long post title, be sure to cut it back when creating your Permalink. Google will index your site content more swiftly and easily if it can see a map of all its pages. This is why creating an .xml sitemap is particularly helpful for sites with lots of pages or posts. WordPress makes this all a walk in the park via its exceptionally useful plugin known as Google XML Sitemaps. One sure fire way to boost search engine traffic is to ensure each of your web pages has a well-optimised page title and description. Careful consideration needs to be given to the words you use in your title and description, and the best way to make sure you’re going down the right route with everything is to use an SEO plugin. Let’s take a look at your options here by examining two of the most popular. Yoast is ranked as the #1 WordPress SEO plugin, preferred by over a million WordPress users. There are two options – free, and Premium. You can compare Yoast features right here. Yoast guides you through the process of adding page titles, meta descriptions and target keywords to every page and post on your site. The good news is that the most useful functions of Yoast come with the free option. You’ll see a preview of how your title and description will look in Google, and receive suggestions on making improvements to the keyword density and readability of your content. A traffic light scoring system makes it easy to see at a glance how you’ve done with your content. Is it long enough? Are there enough keywords? Too many keywords? It’s almost like having a content marketing mentor right beside you as you publish your post! Some WordPress users prefer All in One SEO Pack to Yoast because of its simplicity. There is no content analysis or SEO scoring, but there are advanced tools that allow you to control indexing and following by the search engines. Again, as with Yoast, there are premium and free options, but the key features are all there without having to pay. If you like to keep things nice and simple, and don’t find content analysis particularly helpful, then you’ll probably prefer All in One. Broken links within a website are terrible for visitors, and equally bad for SEO. A regular check for broken links is vital, but this can be a tiresome exercise if done manually. Step in Broken Link Checker; a free WordPress plugin that monitors your site for broken links and alerts you via the Dashboard or by email if any are located. You then get the choice as to whether to edit the link, unlink it, mark it as not broken or simply dismiss the alert. You’ll want to include images in your website pages and posts. The trouble is if you fail to optimise your media correctly then you could ruin your chances of achieving top search engine rankings. Images need to be tagged and named if they are going to do the business in the search engines. The great thing about WordPress is that it gives you the option to change image titles, to caption them, to add alt text and even a description. Size matters, especially when it comes to page loading times and SEO. Overly large sized images have the power to bring a site to its knees where speed is concerned. Precisely why plugins like Smush.it are so widely used, automatically reducing the file size of any image you upload to your WordPress site. Every time you link out to an external site, you are giving away a piece of your site’s authority to that link. External links are good in some respects, but only if they are totally relevant and hold authority. In other respects however, external links can be damaging in terms of SEO. Links that are unrelated, such as paid advertisements or affiliate links, or links that are not useful to search engines, will fall into the latter category. Here’s what Google has to say on the subject. So, how to overcome the issue of linking out to unrelated sites? Again, WordPress has come up trumps with a simple tool that allows you to add a no-follow attribute to any site you are linking out to. You can also opt to make all external links no-follow in WordPress, but this isn’t necessarily a good idea, as there will often be sites that will be helpful to link to for SEO. So now hopefully you can see in brief how SEO works on WordPress. It’s safe to say that as far as content management systems go, WordPress is a winner when it comes to features designed for search engine optimisation. Precisely why here at Figment, we build all our sites on this platform. If you are looking to have a website designed that supports your search engine presence from the ground up, why not talk to Figment?